Disclosure: Road Trip Musts for Traveling with Kids is a sponsored post which means I received products or monetary compensation. All opinions are my own and may differ from yours. All posts may contain affiliate links. If you’ve got kids, you know that road trips can be rough, but they are also fun! I remember taking a road trip to Virginia Beach when I was about 12 or 13. We had a Mazda station wagon with no air conditioning. It wasn’t so bad when the car was moving. But put 3 little girls and 2 parents in a 2 hour long traffic jam, and you’ve got problems! Isn’t it funny how these memories stick with us? Of course, I know once we got to the beach we had fun, but that traffic jam sure made an impression. Times are so different now with all of the technology available to kids for road trips, but they’re still going to get bored. Plus,while some screen time is okay, you don’t want them to have hours and hours of it time do you? I’ve made up a list of some must-haves when you’re road tripping with your kids. Some of the items are for them, and some are for you! Check them out and let me know what you think. If you’ve got kids that are out of the car seat stage, but they’re still not big enough to sit without a booster, you’ve got to check out mifold. It is 10x smaller than a regular booster seat, but it is just as safe. 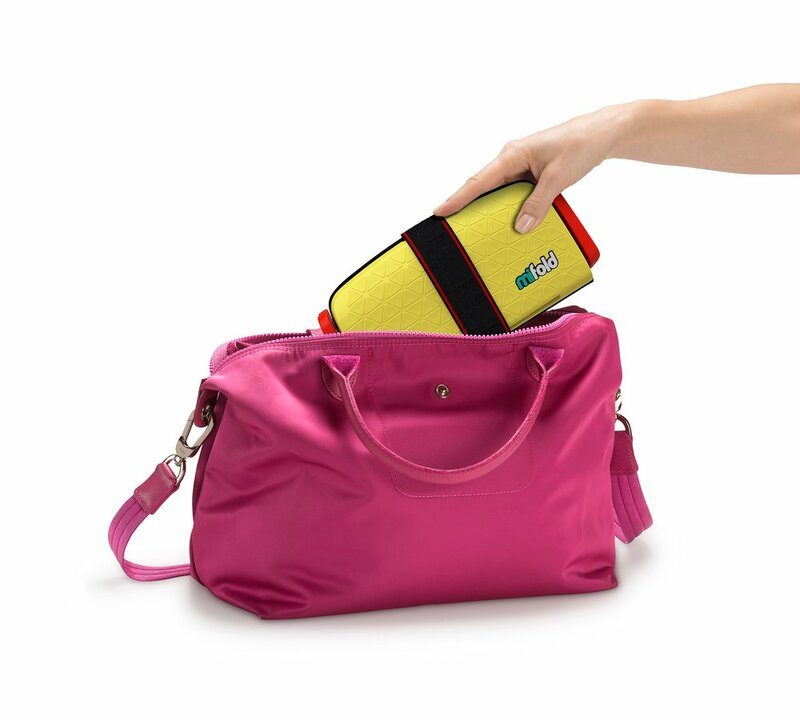 It is portable, so your child can fit it in his backpack or you can carry it in your purse. I wish they had had this when my kids were little! It would have been so much easier to switch car seats out from car to car! mifold is more than 10x smaller than a regular booster seat, and just as safe. It has been fully safety tested in testing facilities around the world. It is the most advanced, compact and portable booster seat ever invented. It is completely different to all other car seats. The lap belt is designed to be low on the hips and contacting the top of the thighs, which has been shown to be a very safe and effective positioning. There are still at least 20% of journeys where children do not have a car seat; in carpools, with grandparents or other relatives, in taxis, in rental cars, and more. With mifold there is no more excuse since it is so compact and portable. A child can easily keep one with them all the time and drivers can keep a spare without cluttering their car. A child can be safe no matter whose car they are in. Watch this video, and you’ll see how handy it is for a road trip! This Car Wrap-to-Go Little Monsters Bouncing Bob is a no brainer for road trips. It straps right to the back of your car seat. It’s handy for wipes, tissues, little toys, snacks and more. No matter what age your kids are, this organizer is a must for a road trip. It even works for teenagers because we know they love taking things in the car! We put tissues, sunglasses, mp3 players, paper, pens, and more in it. I love that it keeps things organized! Isn’t this adorable? When one of my nieces was little, she was obsessed with cows. She would have loved this! The Yookidoo Clips is perfect a perfect road trip toy for the baby of the family. Musical activity rattle is motion activated with music and sounds that will help your baby to develop motor and auditory skills overtime. Activity toy features multiple textures, along with colorful sliding beads that will captivate your child, while enhancing tactile and visual stimulation. Features an easy to grip handle for your baby, in addition to a Yookidoo ring that enables easy attachment to almost anywhere. 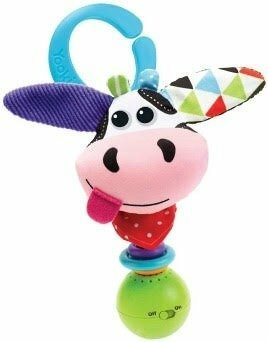 This musical cow rattle by Yookidoo will be your child’s new, favorite farm friend! You can attach the PlayGro Dingly Dangly Clip Clop right to your baby’s car seat! This way they won’t throw it at anyone…you feel me right? This toy provides hours of fun with its vibrant colors and patterns. It attaches to car seats, so it won’t get lost on the go. 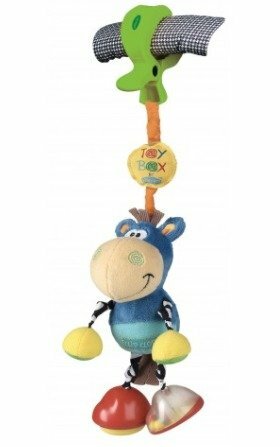 Soft and safe, this longtime favorite comes with a new squeaker and rattling feet to stimulate your baby’s motor skills. You will receive everything you will need to play Magic Words on the go, the magnetic game pieces, tin case that opens to become the game board and the game rules and instructions printed right on the back of the case so you will never lose them. 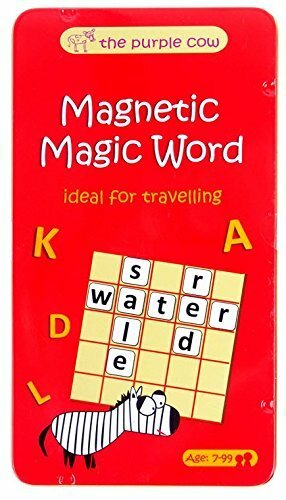 You can buy this magnetic travel magic word game here. This is fun for readers of all ages! Snack in the Box and Drink in the Box are the coolest containers. Snack in the Box features two separate chambers that each hold 6 ounces of your favorite dry snack. Using USA-made Tritan, the body lets you fill with 2 different types of snacks, and the Tritan pop-up lids let you easily pour out the snack from each chamber individually. It keeps your snacks from being crushed or mushed, and works as quantity control so you don’t eat more than you planned. Drink in the Box is the world’s only reusable drink box. It won’t squirt or leak, and helps to hydrate your kids without all the sugar and risk of mold, or impact to the environment of a disposable juice boxes. 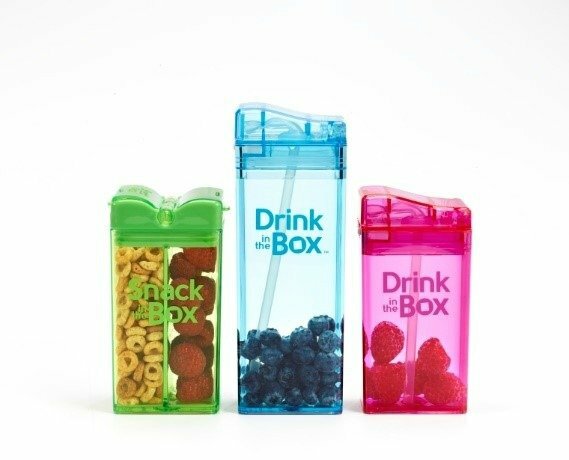 Snack in the Box and Drink in the Box are BPA and Phthalate free. These are so great for road trips. Can you even imagine having a leaky juice box in the car? You know how much of a mess they can make! Precidio Drink in the Box takes that mess away since it doesn’t leak or squirt juice all over the place. The Snack in the Box makes it easy to take little crackers and fruit along for the ride. Summer is mosquito time. It is bee time! And it is biting bug time in general. My daughter is a mosquito magnet. They love her blood, so when she gets bites she gets BITES! I love that the kid formula is non-stinging with baking soda, aloe and tea tree oil. Those are all tried and true bite relievers. After Bite is a must have for travel involving camping, outdoor activities, beach trips and more. Be sure to take this on your road trips to keep you and your little ones comfortable after bites! After Bite has provided instant itch relief from bug bites and stings for over 40 years for adults and kids. The pharmacist-preferred, proprietary mix of soothing ingredients acts fast when you need it most so that bites and stings don’t ruin family fun. After Bite Kids is also available with a gentle, non-stinging sensitive cream that is gentle on kids, or perfect for anyone with sensitive skin. Both of these are available at Walmart, CVS, Target, Rite Aid, Walgreens, Kroger, and at afterbite.com. Scrapes, cuts and burns are bound to happen to at least one of your family during a road trip. Be prepared with CUROXEN. The name CUROXEN (kyur-ox-in) is a blend of cure + oxygen. 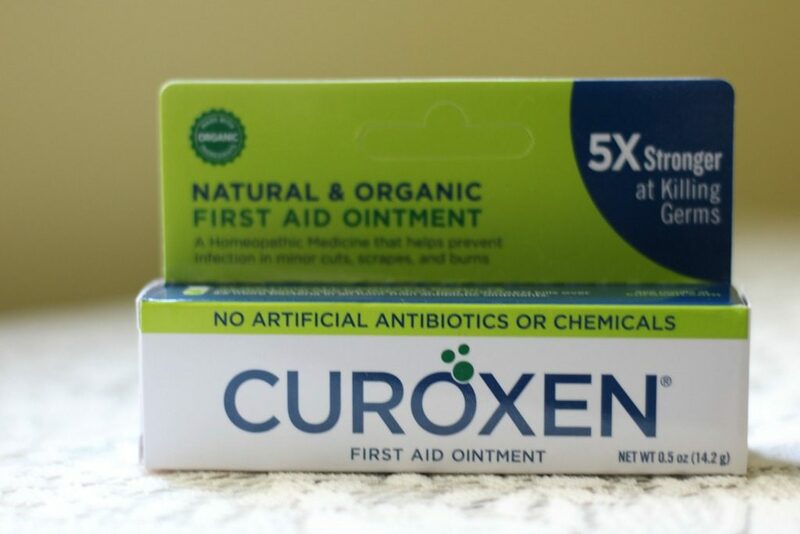 It is a first aid ointment that is all-natural, organic and over five times more effective at killing germs than any first aid ointment on the market. How do we know? CUROXEN is FDA registered and it has been tested and proven to be 5x more effective at killing bacteria than any natural or synthetic product available today. Curoxen helps your cuts heal quickly. This is a gel rather than a cream and it comes out of the tube very quickly. Be careful not to get too much! Ready for a road trip? Get the scoop on the nifty fifty from North to South and coast to coast. Kids get bored easily! Back in the “old days” when I was a kid, I read all of the time. Well, I still read all of the time, but that’s beside the point. With instant everything, our attention spans are literally shrinking every day. Google it. It is true! 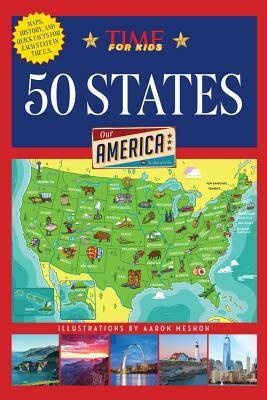 With kids who are used to concentrating on something for such a short period of time, 50 states contains just enough information for your child to be entertained and educated about the states you may be driving through. Make up a trivia game ahead of time with questions for your kids to answer along the way! What are YOUR must haves when you take a road trip with your kids? I’d love to hear what you take and why you take it with you! What’s your favorite from the list I shared? 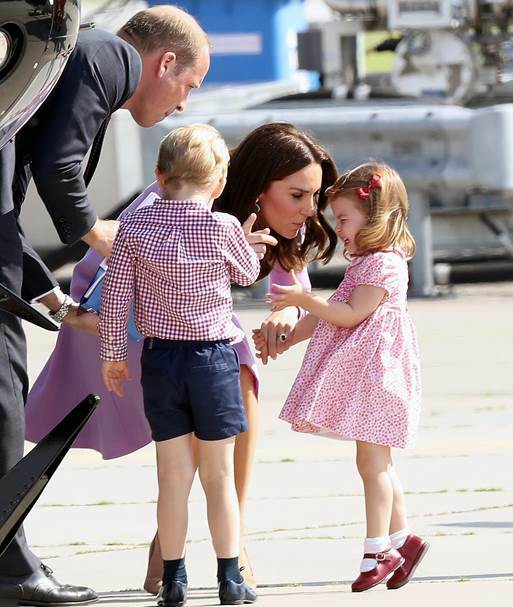 We all saw little Princess Charlotte’s travel meltdown and how mommy Kate handled it. Hey, travel is rough on the little royal too! Recently, Booking.com conducted research across over 18,000 people from 25 countries worldwide, to find out what the top necessities are to keep kids happy on vacation. A lot of what they found corresponds to what I recently posted, so I’m updating this to include their list! Be sure to check out all of my items and use this handy list as a guide to traveling with kids. We’ve done some big road trips, but we’ll definitely check out the Snack in the Box for our next one in August! It looks super convenient and it won’t get squished when the kids shift around. It is awesome! It’s so sturdy. You really need to have lots of activities for kids on road trips. This bag is a life saver since it has a lot of toys, games and other necessities. Yes, you do! They get bored so easily! Thanks for these traveling tips! Having kids in the car makes the travel more enjoyable, though you should also make it fun for the kids. Yes, it makes traveling easier when you make it fun for your kids. I will get some Curoxen and add it to my medical emergency kit. The After Bite cream would be in my kit too. Thanks for letting me know about these products. You’re welcome! They are must haves for sure. They’d be perfect for work. What some absolutely awesome ideas for must have road trip items, I am loving the look of the drink / snack in a box – I may have to get myself some of those. You should! They’re great for grown-ups too! I love your story about driving in a car with no air conditioning, can’t do that in Texas. The small booster seat is amazing and saves so much space. LOL it was no fun then either! I can’t imagine what people did before A/C! Amazing tips! They work really well for families of all ages. There is nothing better than a fun road trip with your family and being prepared helps to keep it fun. Removes all the stress. I totally need to update my safety kit. Be sure to add the After Bite and Curoxen. Those are great to have on hand. 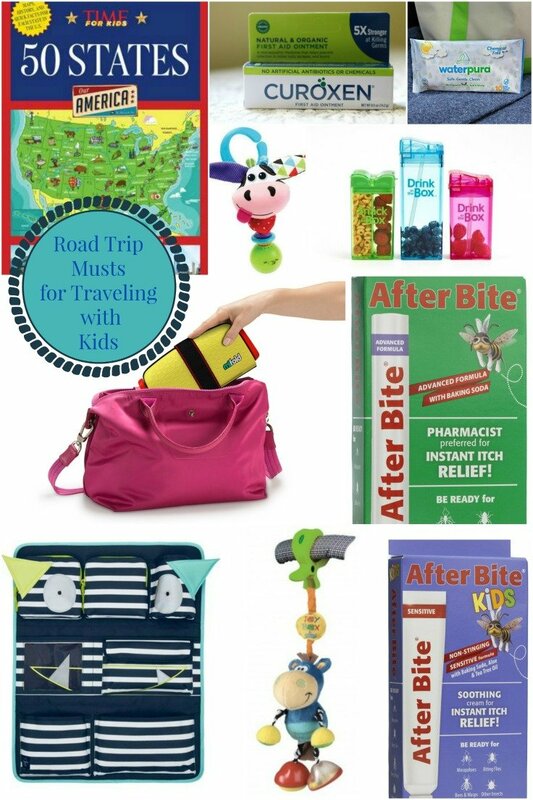 This is a great collection of items for traveling with kids. We always make sure we have plenty of snacks, drinks, and activities to keep ours entertained. Those are good ways to keep kids happy! Wow! This is a great list. It’s always so hectic to go on trips with kids! It is! I love making it as easy as possible! My friend has the mifold seats for her kids, and they are all sorts of incredible! Talk about an easy way to make sure your kiddos are safe! They are amazing and so light! It reminds me of our road trip from Chandigarh to Manali with my cousin’s family. It became really tough to engage my cousin’s twins. We were wishing to bring some toys and some stuff to keep them engaged so that it would be more fun for them. Next time before planning any trip with kids, I would take your tips. Cause kids make the trips more enjoyable. Yes, long trips are rough with kids because they get so bored! Having a lot of different options for them is always helpful. I think I am going to pick up some of those after-bites! 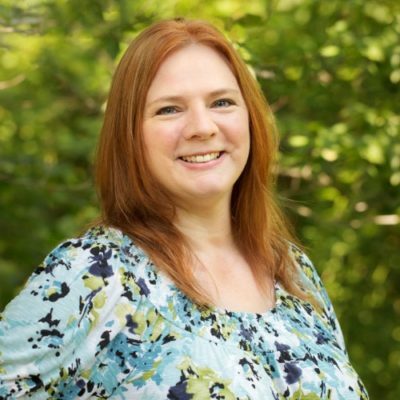 We have a trip to New Hampshire coming up in a few weeks and we plan to do a lot of hiking and spending time outside, so I want to be able to treat those bites. There are so many biting insects up that way! It would be a great idea for you to take this along! Snacks, snacks and more snacks are always on my pack list. Add some toys that aren’t too small and won’t make a mess WHEN, not IF they fall and that’s our recipe for success. I remember the long summer trips back when we didn’t have air conditioning and vinyl seats. We would have to literally peel ourselves off the seats. Kind of like ripping a bandaid off, ouch! Yes, those vinyl seats got hot! I can’t believe all the families that carry around an iPad or have a tv in a van. I used to play car games like spotting license plates growing up. My favorite item to bring is a notepad and paper to keep scores. We still play those games! Great list. We have a few trips coming up. Love those Snack in the Box. They look like they keep snacks and drinks from spilling. They do! I love the drink one because the drinks don’t get smashed. That would be great for him! Oh yeah, road trips are road trips. Rough, tiring but enjoying. Everytime we do, my mom is the very best in it. Having all these stuffs ready. She’s a girl scout on-the-go. It’s great to have help! I love all your ideas! We’ll be traveling next month so I’ll keep this in mind. I need to pick up some of those Snack Boxes. So cool and convenient. Great! They’ll come in handy! Ugh, I just bought another booster seat for my 8 year old. I wish I would have known about Myfold! These are great products and tips to make traveling easier and more fun! Yes, this one is so nice and portable! That snack in a box and drink in a box are so cool! Those are really neat containers, I have never seen anything like them before. They’re great for the kids and grown-ups! My son has always traveled well in the car. We’ve been very lucky. I love that car organizer; perfect for car trips or everyday use. THat’s great! Yeah the organizer is great for all ages! My favorite items are the drink and snack boxes. They look small enough to fit many in a lunchbox or small cooler. Plus the anti itch cream is a must if you are going to be outdoors. The drink and snack boxes are great! The itch stuff is too. My daughter is a bug magnet! Where was all this when I was a kid traveling with four siblings???? Seven in a car – yikes! The snack boxes are totally awesome. The Itch stuff is a must. Yes! I know, it feels like cars were much smaller then! We’ve had a good number of hours traveled in a car. Our must haves include snacks, drinks and electronics for movies or games. Snacks are something that keeps us all happy! There are a lot of challenges when it comes to road trips. But sometimes, these challenges make the trip more memorable and fun. These are cute road trip essentials. I love the little monster car organizer. 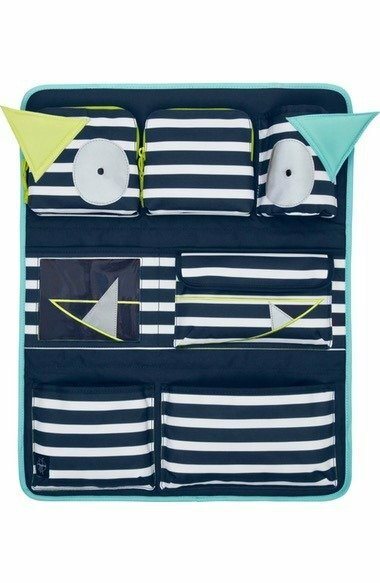 We love road trips and this cute organizer will be perfect for the twins’ stuff. Magnetic games are awesome for road trips. My kids don’t sleep during road trips…ugh so I’m always trying to keep them entertained. I love magnetic games and toys! Then they don’t get lost all over the place! These are great tips for keeping kids entertained on long car rides. It can be so difficult keeping them occupied in the car sometimes. Yes, it sure can be! These tips aren’t only good ideas for kids but also for adults! Thanks a bunch for the helpful post, Christy!